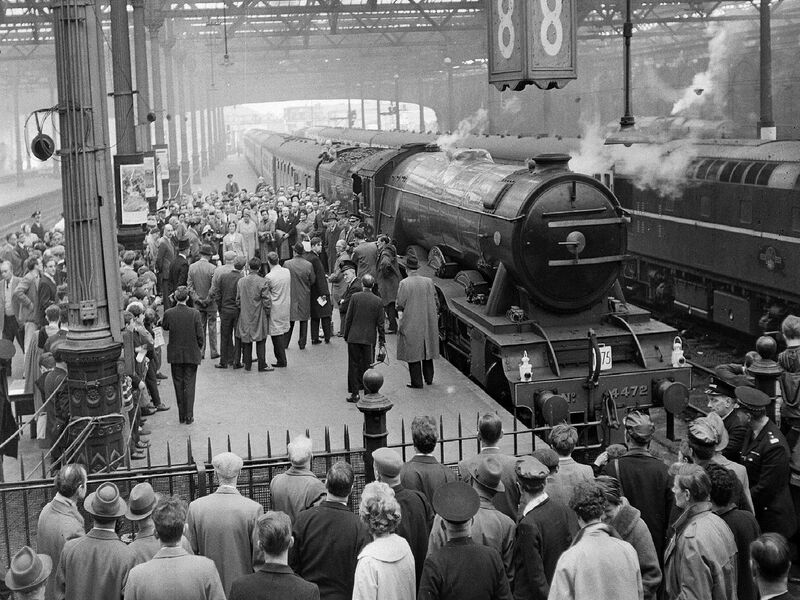 As plans for a major redevelopment of Waverley Station are revealed, we took a look at how the railway station has changed over the decades. Opened in 1868 by North British Railway after three rival stations were demolished and replaced, Waverley has seen countless design changes and refurbishments over the decades. The new masterplan could see the old Victorian station building, which has been listed since 1991, demolished and a new, higher roof constructed to accommodate a new mezzanine floor. If approved, the plans could see the iconic glass roof, dome, and ramps disappear into the history books. People queuing at Waverley Station, Edinburgh during a bus strike in July 1957.The nationwide strike lasted 8 days. The old footbridge which ran from Jeffrey Street to Calton Road was demolished more than 60 years ago. Two elephants from Princes International Circus arrive at Waverley Station, Edinburgh in December, 1952. People queue for tickets at the North and West ticket office, with newsagents in the background. Today, this is the main concourse area.